For our anniversaries, Cade and I have a pretty bad track record of actually having it free and getting to spend time together. Usually, we’re both super busy with school, work, and running around pretty much the whole day. However, this year was actually a bit different. Our 8th anniversary fell on a Monday this year, which is the one weekday that we both have totally free! So, for the first time that I can remember, we got to spend the day together. 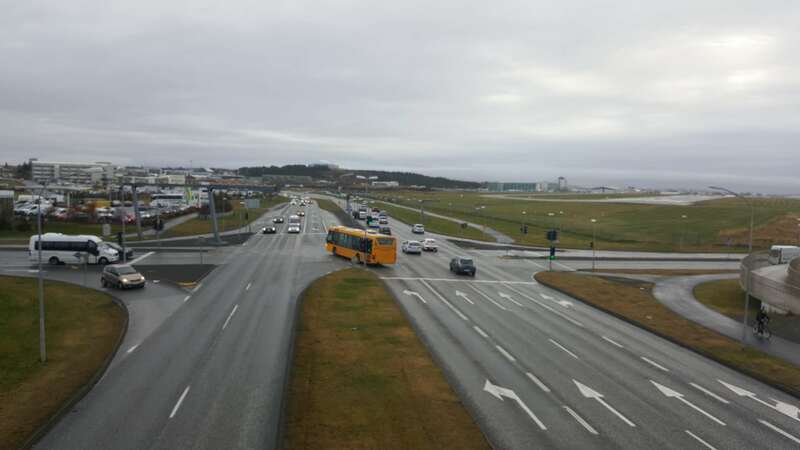 The thing though about living in Iceland is that everything is super expensive here, so we didn’t want to do much that would require money. So, we set out to do a few things that we had been wanting to do but that would save our wallets. We started the day with going to the gym, a normal Monday routine and one that is actually really good for our relationship. For us, doing healthy things together, like working out, has been really good for our relationship. We get to do something good for ourselves together, and it can be kind of a turn on watching each other workout and lift heavy things…just saying. After our morning routine, we set out for downtown. Luckily, I had baked a terrible version of banana bread the weekend before that we had decided would be fed to the local duckies instead of being thrown away. So, feeding the duckies was where we started. 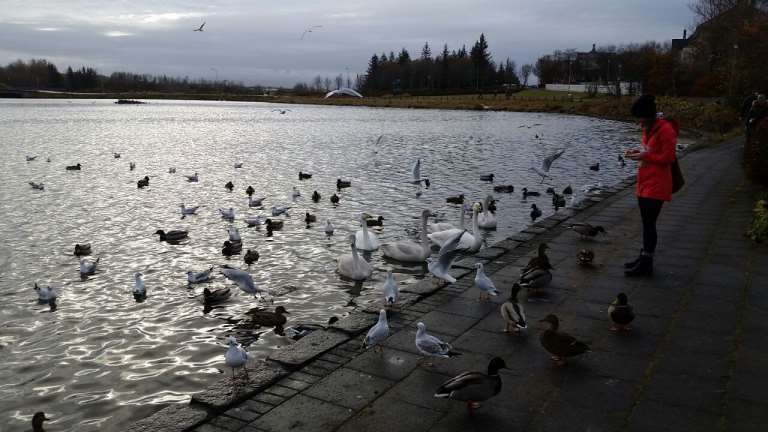 We headed for Tjörnin, the pond that’s close to our apartment and ducky haven, to let the feeding begin. They seemed to be totally fine with my ammonium bread and flocked to get as many pieces as possible. Once the duckies had full bellies, we continued on to feed our own bellies. 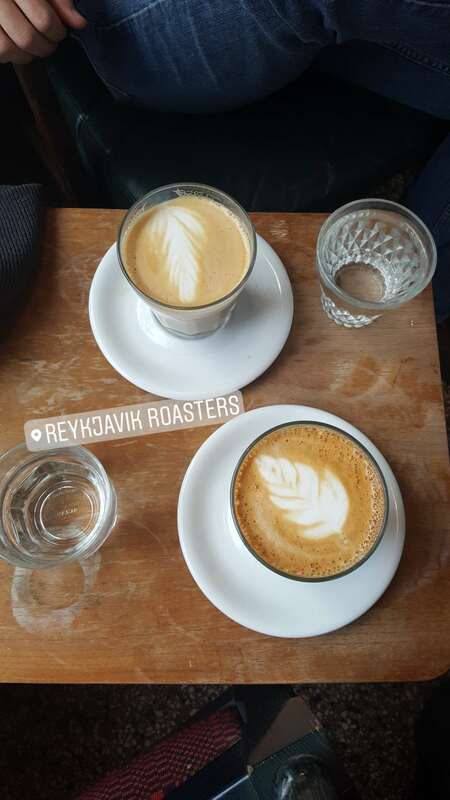 We started at a coffee shop I had heard nothing but good things about, Reykjavik Roasters. And, after having their coffee, I have to say I agree with the reviews…they have some damn good coffee. 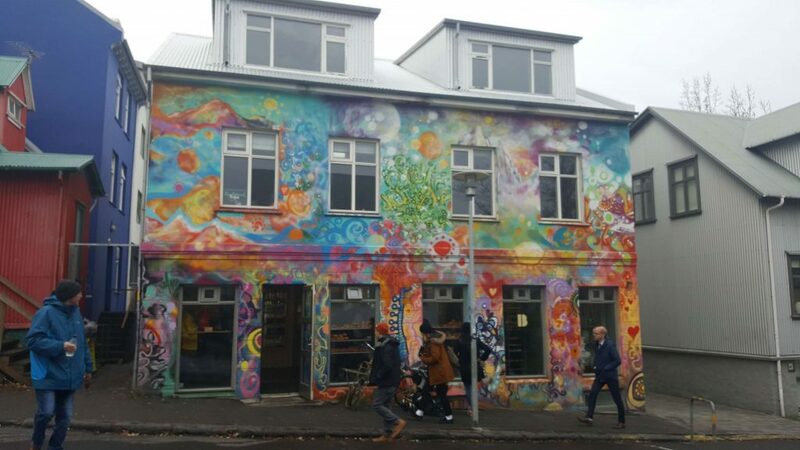 Next, we just stepped outside and followed the delicious bakery smell down the street to Brauð & Co., another recommended local favorite. 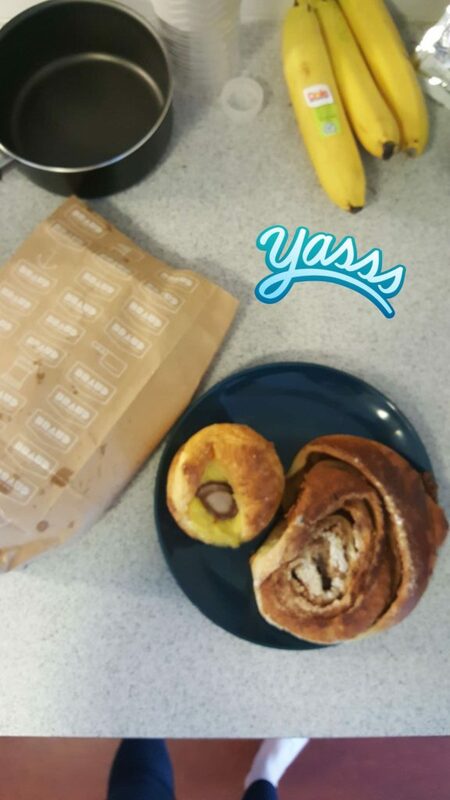 Brauð & Co. is know for having amazing cinnamon rolls, a very popular pastry of Iceland, and also happens to be one of my favorite desserts. So, I knew we had to try them out, and again, Reykjavik didn’t disappoint. We got a cinnamon roll and a vanilla and chocolate croissant, both of which were absolutely amazing. I also love their building. It’s so colorful and happy…perfect for a yummy bakery. With baked goods in hand, we walked through downtown and made our way back home but got a little distracted. 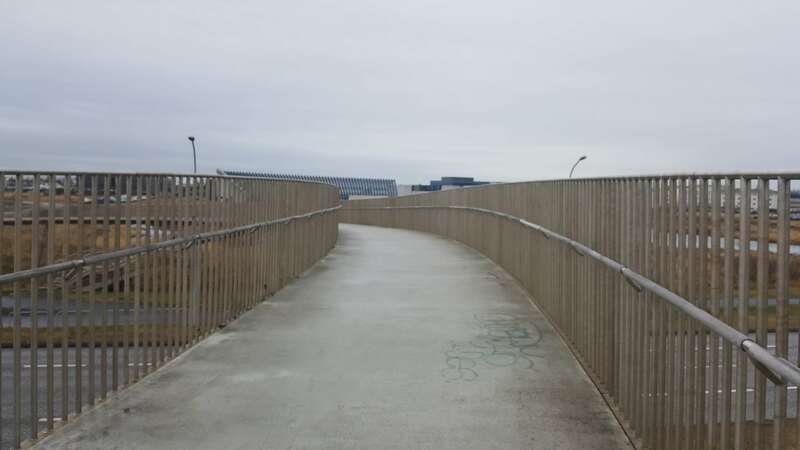 See, there’s this bridge that goes over the highway that separates our neighborhood from downtown, and we had talked about going over it at some point but never had a reason…until now. Once we got close, we realized we were close to it and had to finally go over it. 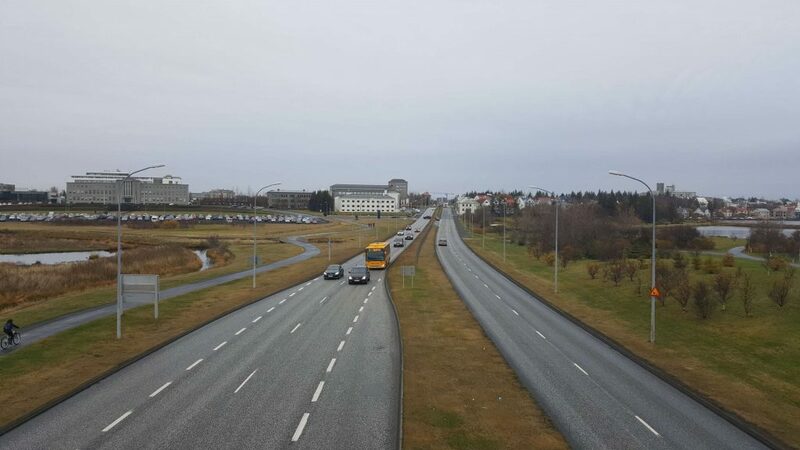 While it’s just a bridge that allows you to safely cross the highway, it gives some pretty good views of the surrounding area, including the University of Iceland. Once home, we enjoyed our pastries, then cuddled on the bed for quite some time. 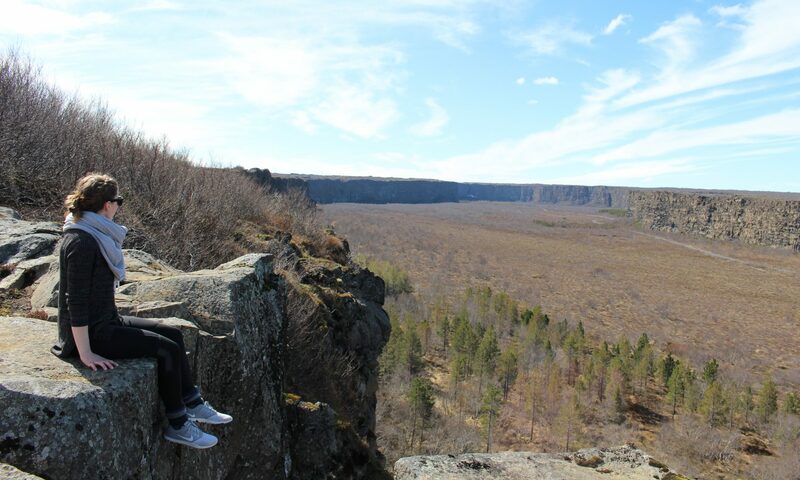 A great, relaxing day spent together for the first time in quite a few anniversaries. This post is from our anniversary on October 31, 2017.